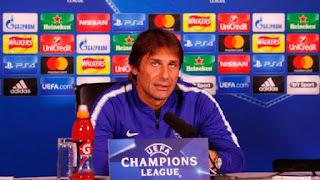 Chelsea manager, Antonio Conte has spoken concerning the surprised resignation of Technical Director, Michael Emenalo. Conte, addressing a press conference ahead this weekend game against West Brom, described Emenalo’s departure as a great loss to the club. The Nigerian surprisingly resigned of his technical director role last week raising fresh questions about Conte’s relationship with the Chelsea hierarchy. But the Italian reiterated that he was sad to see him go. He said, “For sure this is a loss, a big loss for us. “Our relationship was very good. He helped me a lot last season, and also this season. For sure it was a surprise for me, his resignation from his job.